Xerox announced on Friday that its chief financial officer will leave the company and become corporate controller at Apple in February. 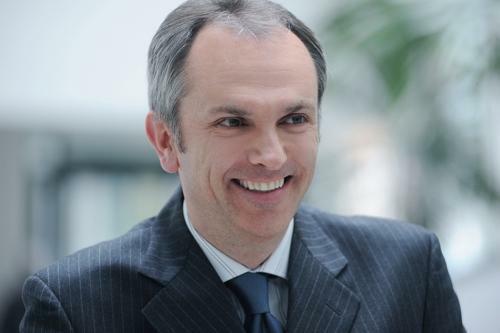 The announcement revealed that CFO Luca Maestri plans to join Apple next month, after spending two years with the company. He previously served as CFO at Nokia Siemens Networks for four years. Maestri will stay with Xerox through the end of February to help with the transition. The company has started an external search for a new CFO. Before that, the 48-year-old worked for 20 years at General Motors, where he handled financial operations for the company in a variety of roles across the globe. Maestri received a bachelor's degree in economics from Luiss University in Rome in 1988, and a master's degree of science from Boston University in 1991. He is also a board member of The Principal Financial Group. His new role at Apple will place him under the company's current CFO, Peter Oppenheimer, who himself served as controller when he joined Apple in 1996. Oppenheimer now oversees the controller, treasury, investor relations, tax, information services, internal audit, facilities, corporate development and human resources operations of the company.